With the start of 2019, I have hit the ground running on this year's goals: decluttering (as you an see on my Instastories I have accepted the #declutterlikeamother challenge, decluttering 30 mins a day for 30 days), eating healthier, saving money and being less wasteful, to name a few. Instead of doing my usual one-and-done approach to my goals, I'm trying to develop better habits because I want things to stick this time around! Wish me luck! And of course I will share with you what I learn from each journey, but for today you might be wondering what all of this has to do with a reversible dress? 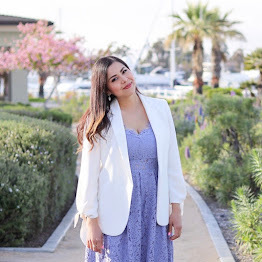 In my closet purging (yep doing that like everyone else in America right now), I realized that I only want high quality and versatile pieces to take up the highly coveted space in my closet - enter this reversible dress (which is currently 65% off btw) that works TWO ways seamlessly. I previously wore it on the leopard side (here) and now I'm showing you the stripe side! What are a couple of things to look for when purchasing a reversible dress? First I look at the quality, does it transition to both sides seamlessly? This dress in particular has an exposed zipper, but the top of the zipper goes both ways so it doesn't look like it is meant for one side only. Also the fabric is thick and you would never know there was a whole other print on the other side! Is it versatile? For this dress, it has two amazing and versatile prints on both sides, you can't go wrong with leopard or stripes! Because of the shape and striped print, I could trade out the moto jacket for a blazer and go to the office, or keep the moto jacket for a drink with friends. Both are classy looks. 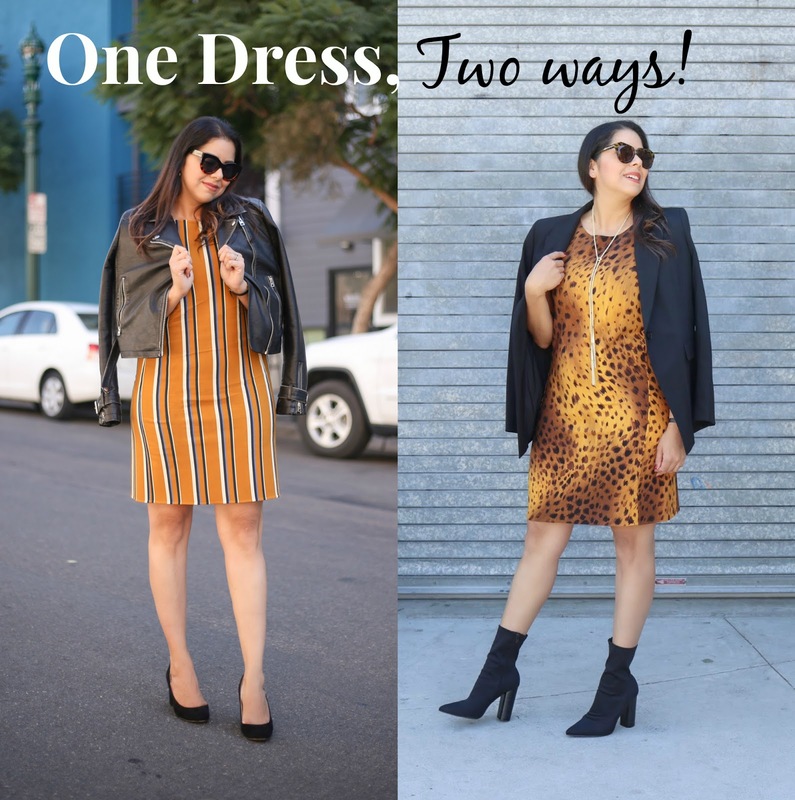 Since this is a printed dress, in both ways I layered a black blazer or a black moto jacket- both super versatile pieces! (I promise to stop saying versatile after this sentence, I know it's annoying me too, but I can't find a better word to describe it) In both ways you can mix and match the outerwear and the shoes to your liking.